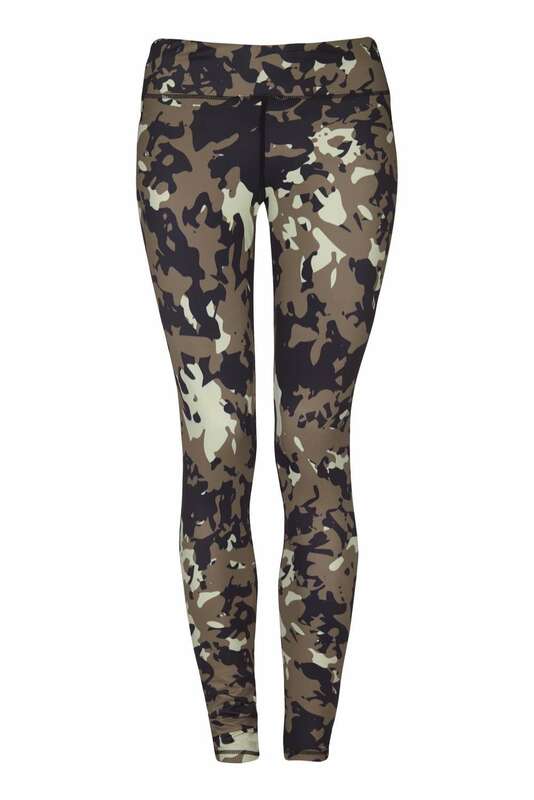 Yogaleggs Khaki Camo are functional and on trend sports luxe camouflage printed leggings. Made of high quality, breathable, moisture-wicking, antibacterial fabric with compression components designed to keep you cool and dry throughout your workout and take you from day to night. Yogaleggs are lightweight, silky soft and super comfortable. Made of stretch fabric which is quick drying and no need to iron. Suitable for yoga, pilates, running, barre, spinning, gym bunnies and shopaholics. I like to match my yogaleggs to my mood and these are perfect for when I want to wear some funky leggings but I’m also feeling like I don’t want to attract too much attention. My favourites for when I’m lucky enough to be running off to a yoga class after the school run. Super comfortable too! I wear these mainly outdoors walking or running due to the colour and have been especially cool for my autumn and winter wardrobe. As all my yoga Leggs, these are mega comfy, highwaisted to help with my mum today and the material doesn’t go thin when you bend over. Amazing quality and come up perfect wash after wash! My teenage daughter has these leggings in an XXS and it’s hard to get her out of them! She loves them and finds them so comfy! Love these leggings. Washed and worn since the summer and still look brand new. So comfy with no seams or zips digging in to disturb my shavasana. We are so pleased you love the quality.